What the South China Sea reveals about Indonesia's foreign policy. States in the Asia-Pacific increasingly pay lip service to protections they sign up to. Sino-US tensions increase amid Poseidon spy plane deployment in Singapore. 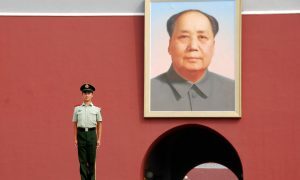 New freedoms and old controls in China. Provocative patrols no way to turn the tide in contested South China Sea. Beijing’s moves in the South China Sea need to be met with an assertive ‘costs imposing’ strategy. New Mandala contributor Jinghong Zhang recognised for study on rise and fall of puer tea. Since modern borders were first established in the Mekong region, opportunists like Naw Kham have used them to pursue their own economic and political agendas. Travelling in Tibet with village projectionists, Jinghong Zhang reports on the popularity of swordsman films.